After years of devotion to your field, you’re finally on your way to launching your career as a professional educator of students with intellectual disabilities. However, if you plan to teach in the United States, there’s a likely possibility you’ll have to prove your capabilities through one final test: the Praxis II Special Education: Teaching Students with Intellectual Disabilities exam. While this exam may seem like a challenging final hurdle, you can easily earn an excellent score with the right preparation. That’s why the Mometrix Test Preparation team would like to offer you our Praxis II Special Education: Teaching Students with Intellectual Disabilities (5322) practice test. We have designed this resource to ensure you have the most comprehensive study experience possible. 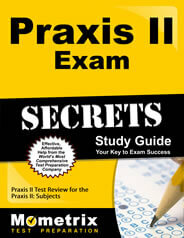 This practice test is formatted to closely resemble the full Praxis II exam. 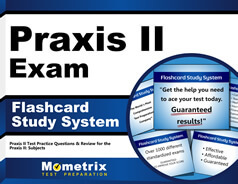 Best of all, this Praxis II Special Education: Teaching Students with Intellectual Disabilities practice test is 100 percent free for you to use throughout your studies. We hope you will incorporate it into your study plan. Good luck!